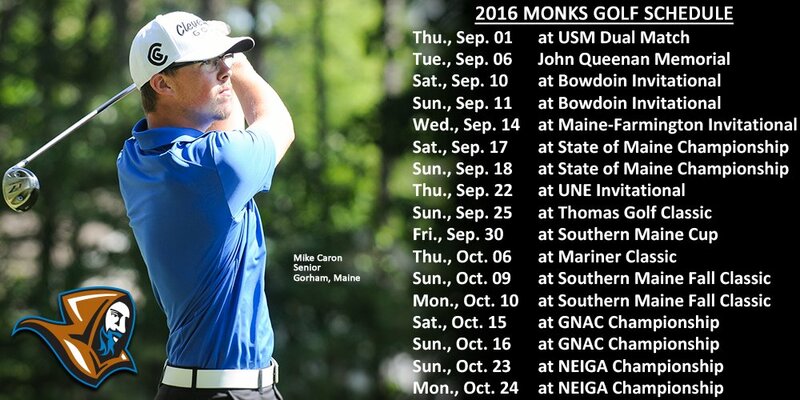 BRUNSWICK, Maine - The Bowdoin College men's golf team has announced its fall 2016 tournament schedule. The Polar Bears will compete in six tournaments, including two at Brunswick Golf Club. Bowdoin will look to peak for the NESCAC Fall Qualifier, which will be held at Middlebury's Ralph Myhre Golf Course on October 1-2. Bowdoin will open its season at home with the Bowdoin Invitational on September 10-11. The Polar Bears will also compete at in-state tournaments on September 17-18 (Maine State Tournament at Springbrook), on October 8 (CBB Championship at Brunswick) and will conclude their fall slate on October 9-10 (Southern Maine Invitational at Gorham). Seniors Martin Bernard and Thomas Spagnola will serve as co-captains for the Polar Bears. ... Getting someone with a championship pedigree like Richard helps the Beavers, who have finished fifth in the NAC Championships the past three seasons. "It helps him in the sense (he) has knowledge of competition and what it's like to compete," UMF coach Bob Timmins said. "What it really means: some of the differences is the endurances because playing 18-holes and sometimes 36 as opposed to nine-hole matches. It's basically the psychological aspect of it of the team competition." Richard hopes to help build a tradition of winning while he's at Farmington. "While we aren't powerhouses, we have came a long way," Richard said. "Who know what's going to happen this year?"